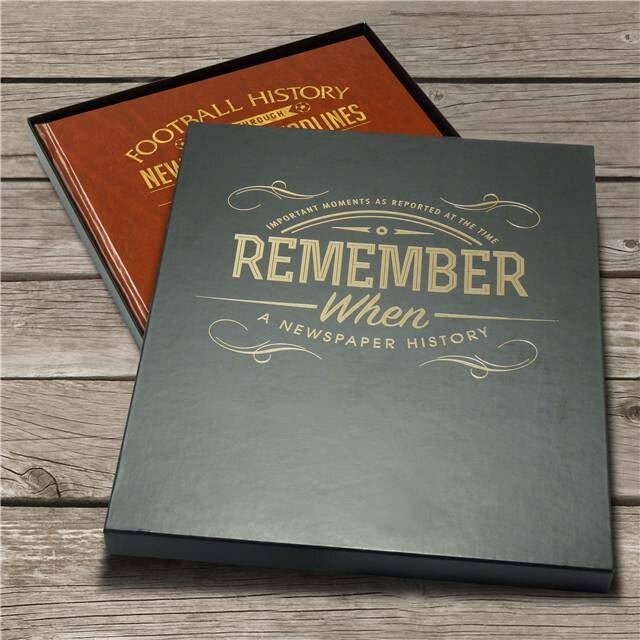 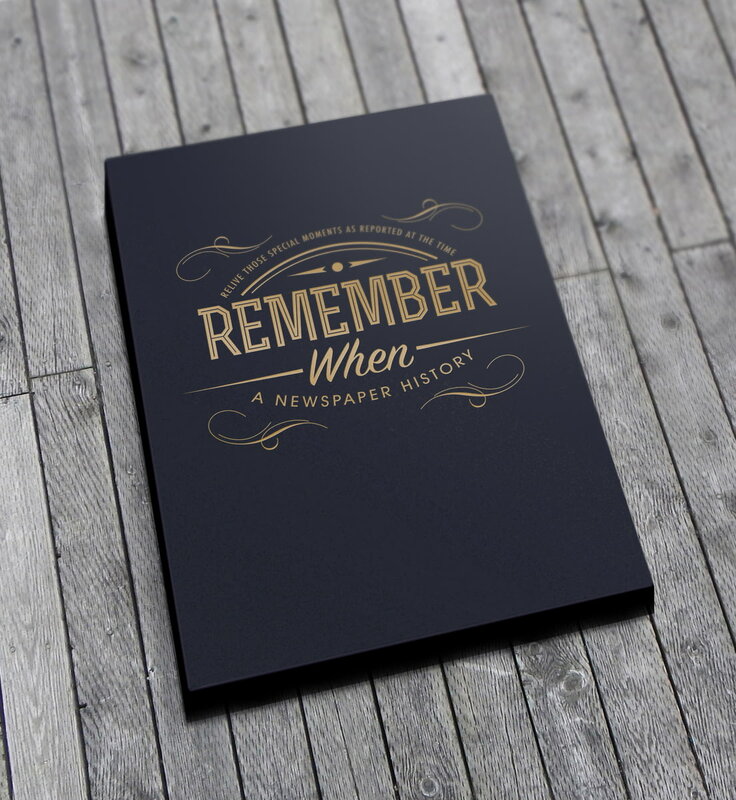 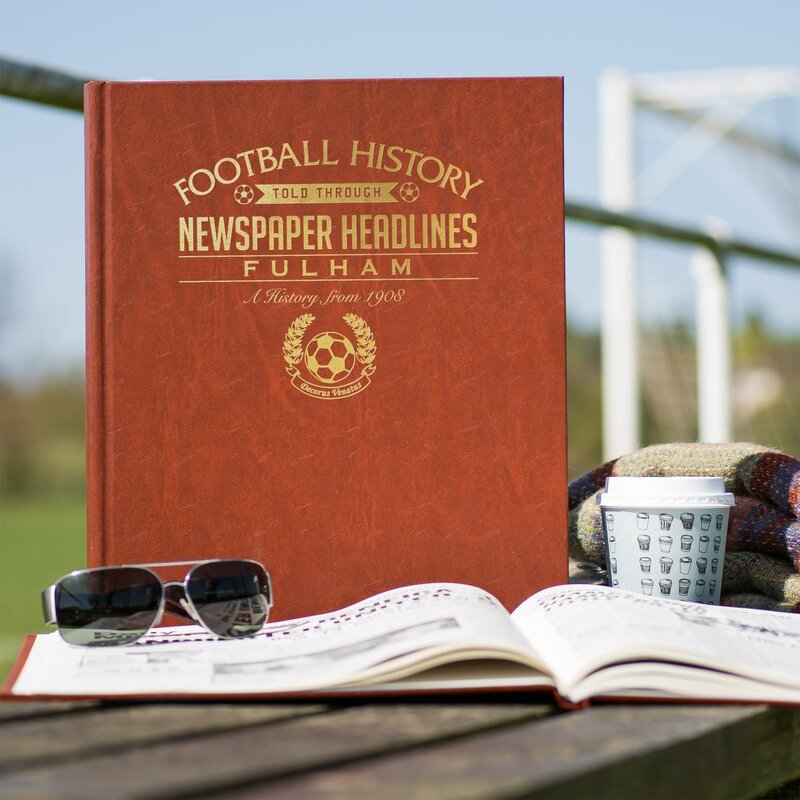 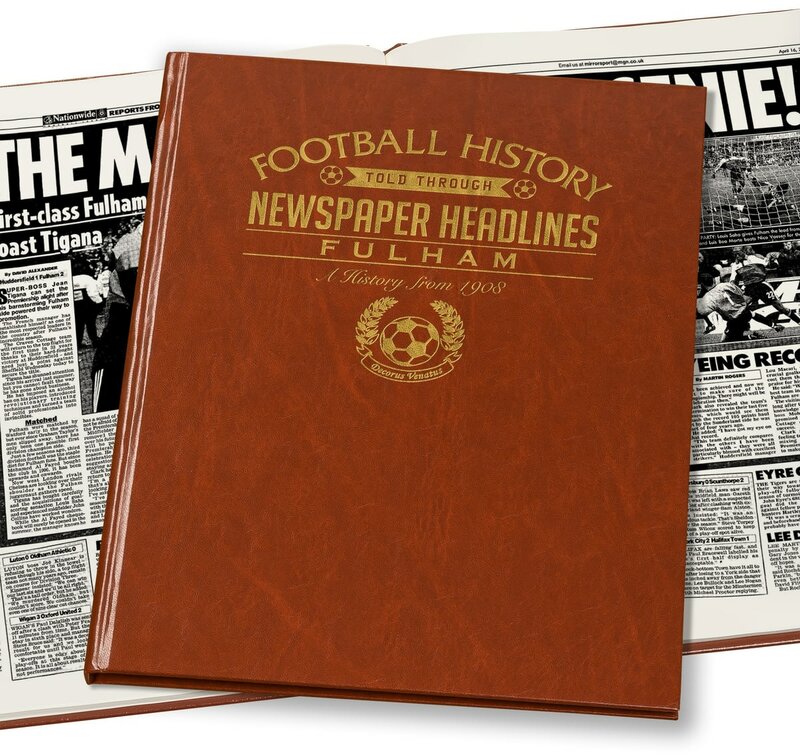 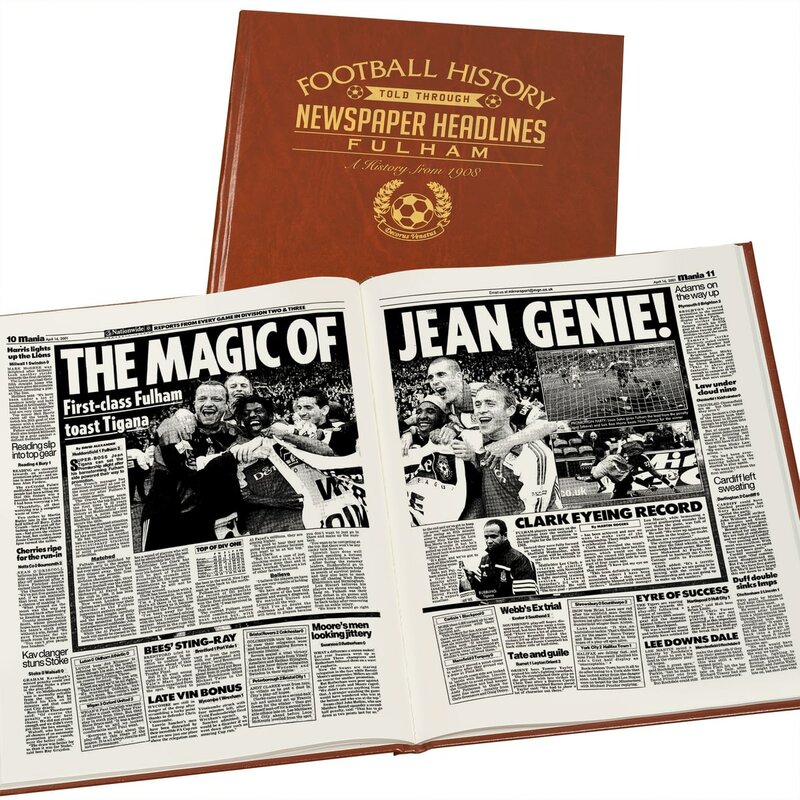 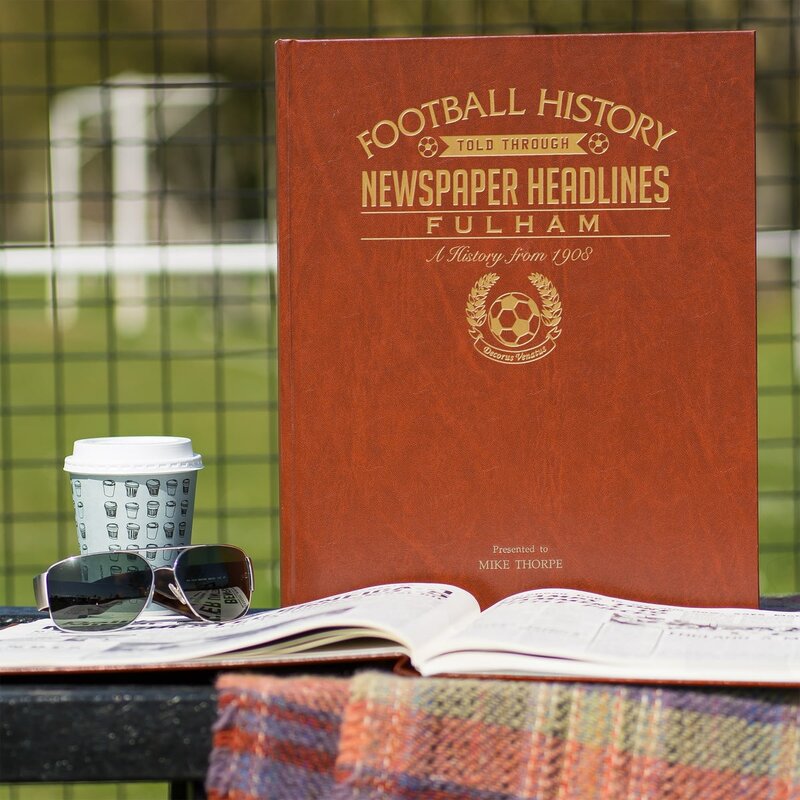 Capture the history and greatest moments of Fulham football club through newspapers written at the time. Starting with a cup tie win over Man. 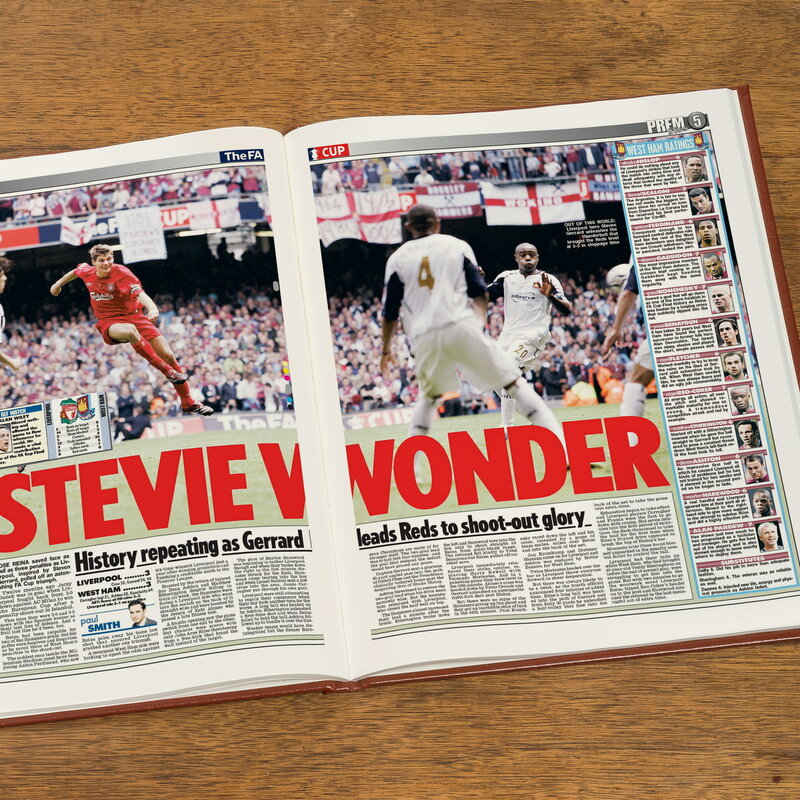 Utd. 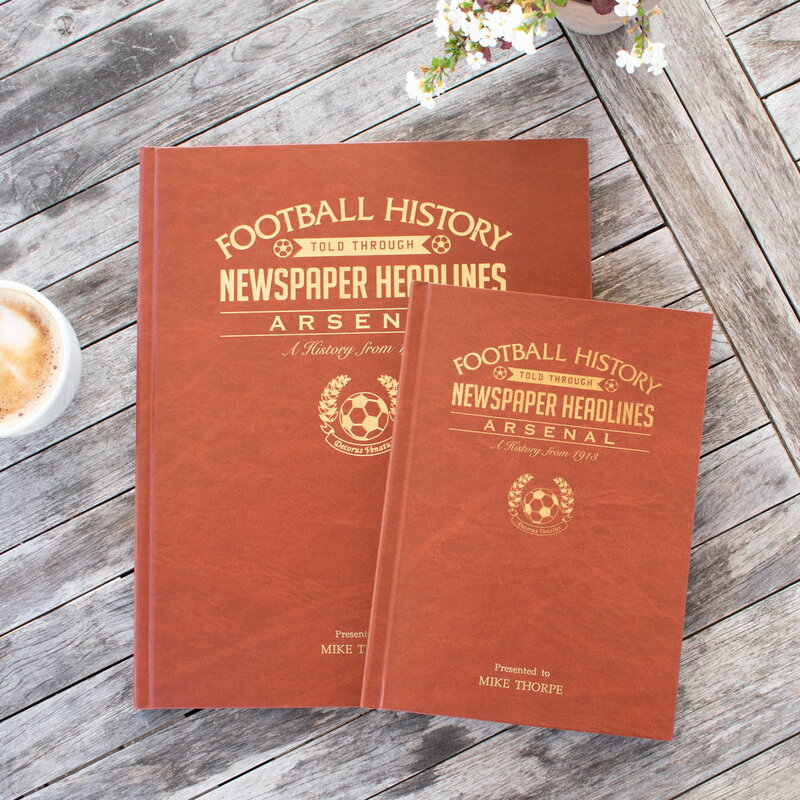 in 1908, this book charts a glorious history of great league, cup and European games and names through the decades. 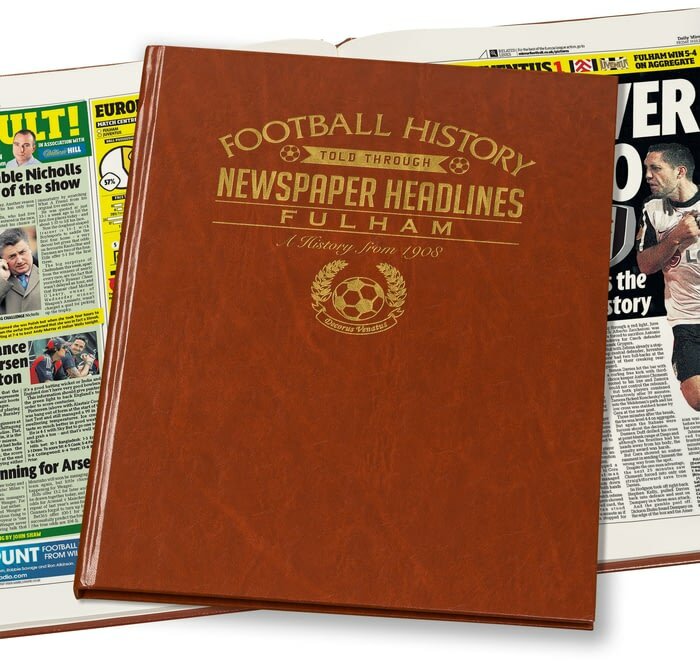 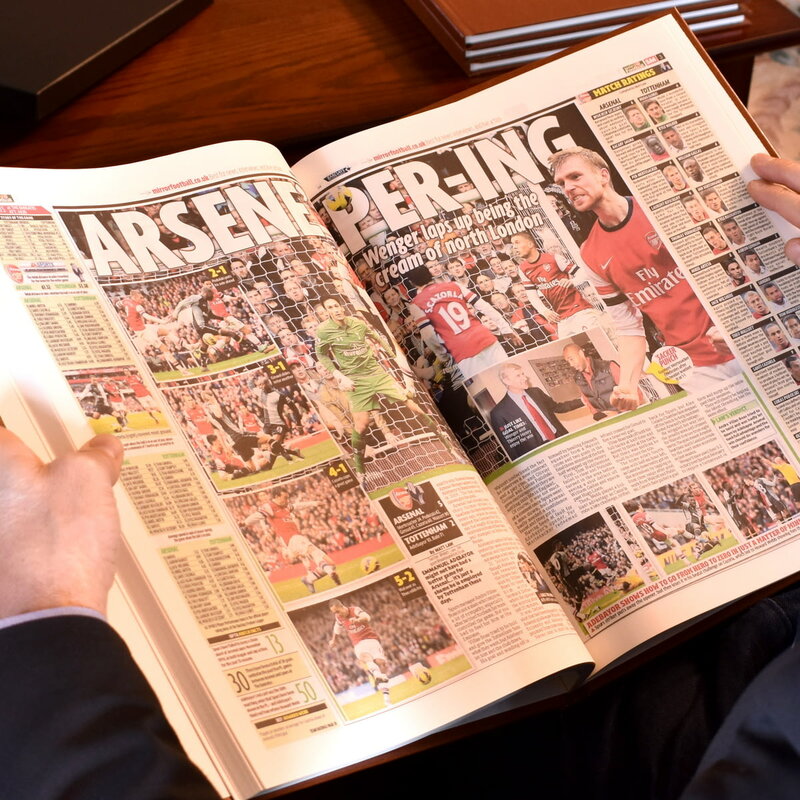 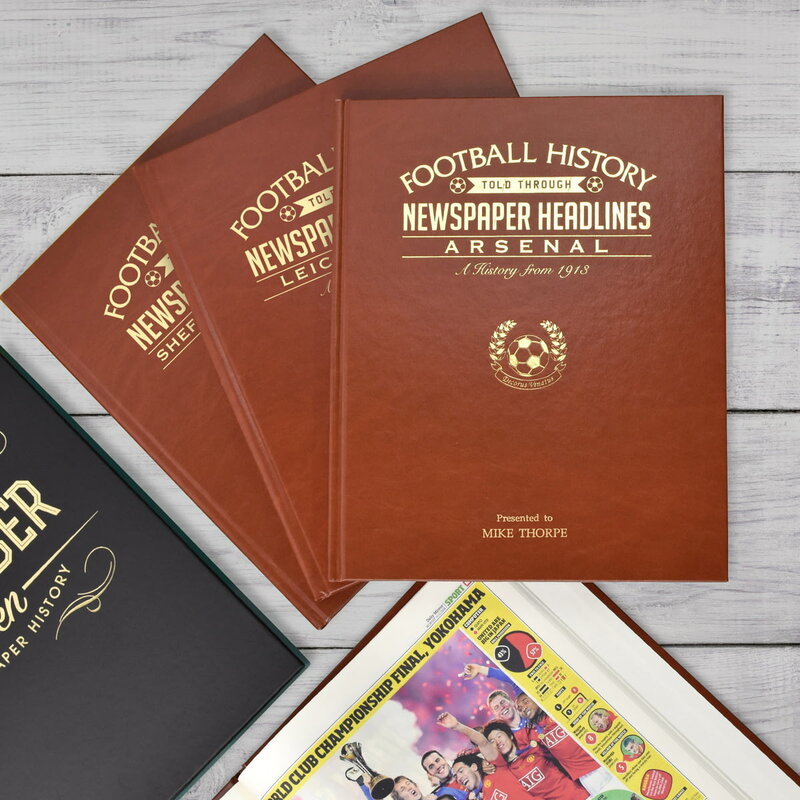 Top stories include the promotions and FA Cup win, the signings of Bobby Moore and George Best. 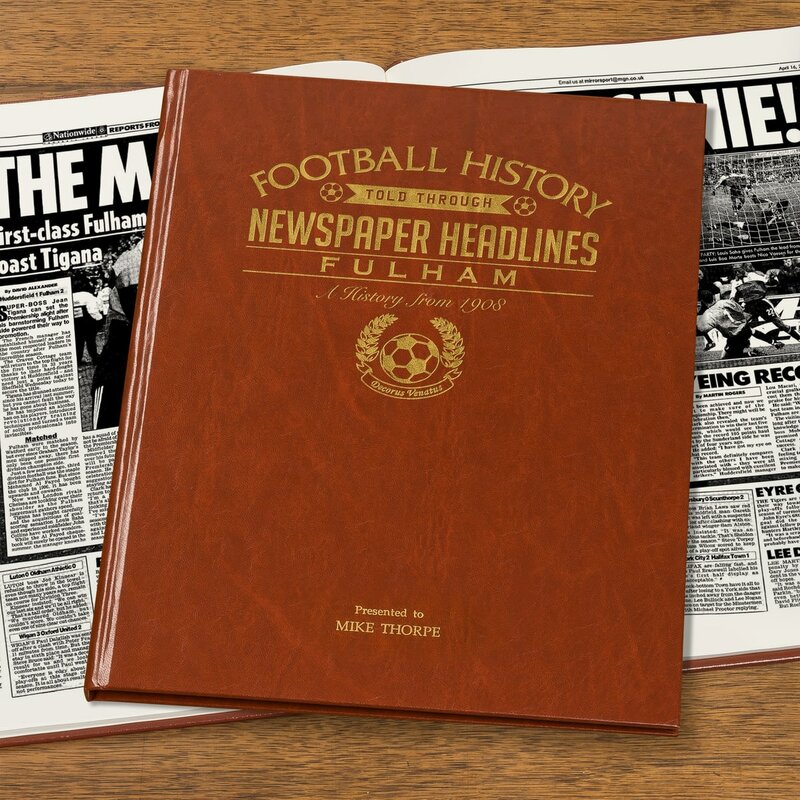 Kevin Kegan and Al Fayed take over the reins and the death of Fulham legend Johnny Haynes. 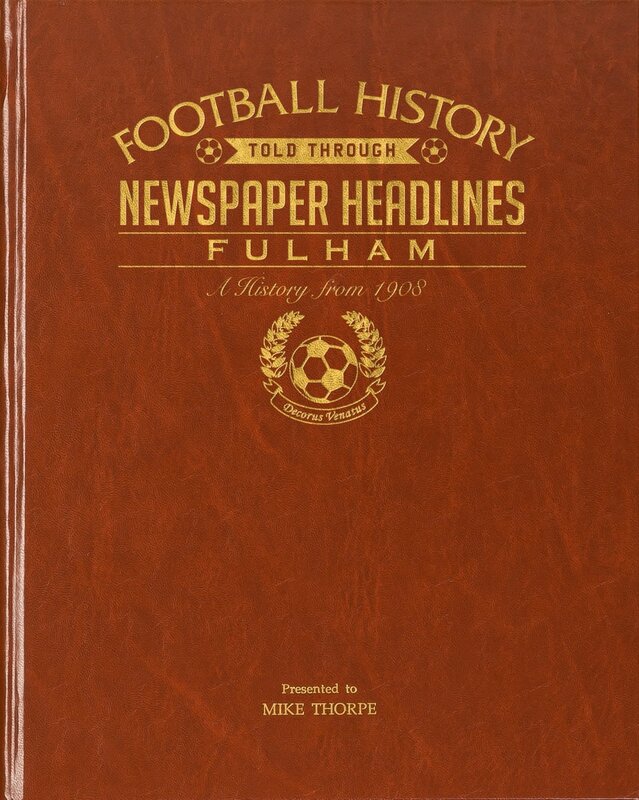 This is a unique and wonderful gift and a must have for all Fulham fans. 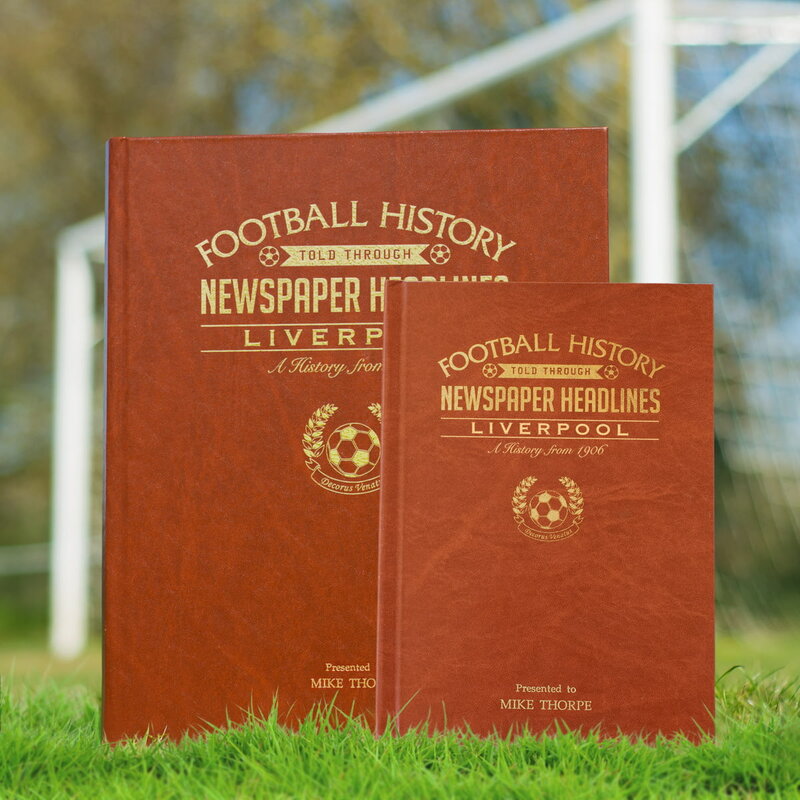 Reproduced to near full tabloid newspaper size it is bound in a gold embossed, hardback cover, to which a name can be added.